THIS IS THE ULTIMATE DRAG RACE GAME, DOWNLOAD STREET KINGS: DRAG RACING TODAY! 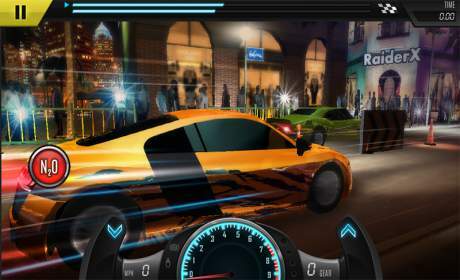 A new drag racing series is born, Street Kings is finally here full with addictive gameplay and intense racing moments. 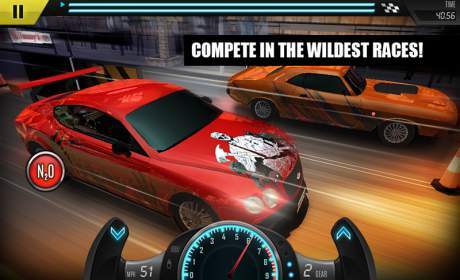 High speed driving in cutting edge drag racing cars, blast your way to the finish. Multiple different brands of cars to customise into the way you like them to be. Street Kings: Drag Racing offers the players insane nitro fuelled drag racing cars from all over the world. Different underground illegal drag racing teams will put you to the test, you need to beat the crews in order to become the best street racer in the world. Race in the Streets of Rio de Janeiro, Tokyo, and Dubai. Earn money to improve your selection of cars, or to buy new cars to drive in. Beat every crew and their bosses to continue to the next city you like to rule the streets of. 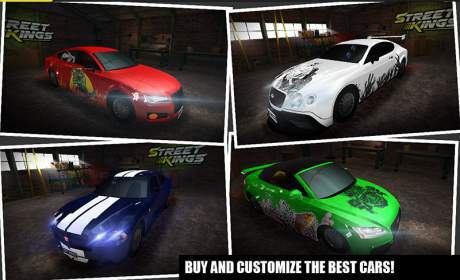 As a player in Street Kings: Drag Racing you can decide how your racing monster will look. You are able to also tune the performance of your race car to the fullest. Use your drag race winnings to buy sick custom parts, decals or paint colors. This is drag racing games with fast cars, this is ultimate racing fun. – Race in 20 unique cars that you can tune, upgrade and pimp into your very own race monster. – Race against the toughest opponents, race in different 3D race environments! – Different race events, train yourself to learn more about your ride, Ladder races that get progressively harder and harder. – Crew races do you accept the challenge of some of the most toughest drag racers out there? – Daily races, in these races you borrow a beast to blast against your head on opponent. – Every day we have a different mission for you to complete, are you up for the task driver? PLEASE NOTE! Street Kings: Drag Racing is a new drag racing game that is free to play, it contains items that can be bought for real money. You can prevent unauthorised purchases by enable the “Use PIN for Purchases”option. First you Need to select “Set or Change Pin” In the Google Play settings menu. Then select the option, from now on you will be required to enter your PIN before every in game currency transaction. This option is only available for Android OS 3.x and higher.